Dropbox is a free file sharing service that lets you keep all your documents shared in sync with each other. 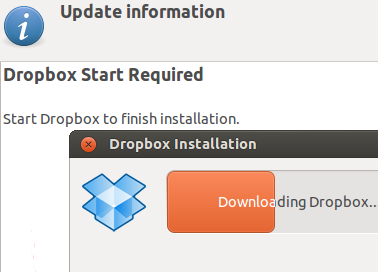 Linux installations might seem complex however installing Dropbox on Ubuntu is as easy as installing it on Windows. Dropbox linux support both the 32bits version as well as the 64bits version. To install Dropbox using the .deb file, simply click on the downloaded file and follow the instructions. Once the installation is complete click on “Start Dropbox” and you should get the option to create an account or login to your existing account. Next you choose the setup type, either Typical or Advanced and your are done. 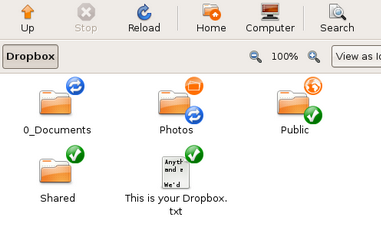 Finally we need to run the Dropbox daemon service for the newly created folder .dropbox-dist.